After a few brunches under our belts Shannon and I decided that being able to poach an egg is a good skill to have. They look beautiful, they are very healthy, and require a slight bit of skill. I will take a picture of our inspiration tomorrow, they are insanely crafted poached eggs, but we are not near that level yet. After taking a night to experiment with huevos we have found the best method for home poaching eggs. 1: Get your water to a boil. 3: get a spoon and make a whirlpool in the pan. 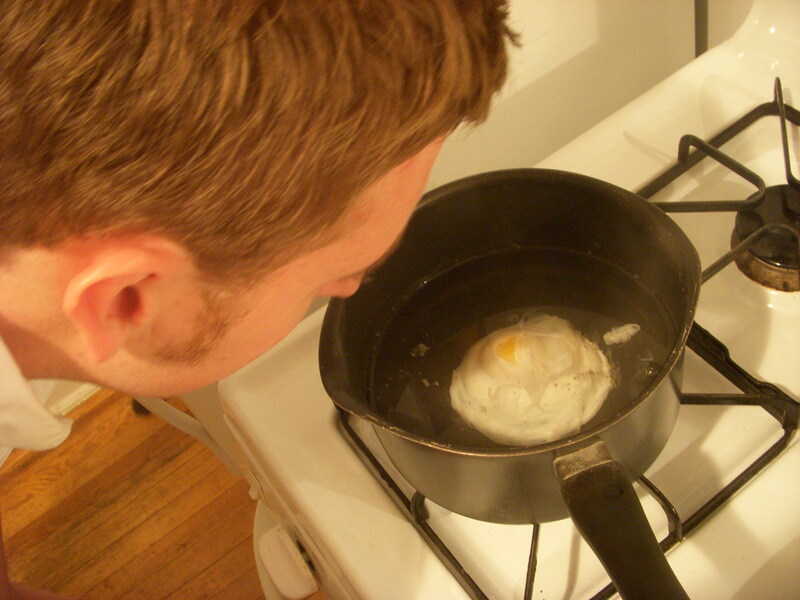 4: Crack your egg into the spinning whirlpool of boiling water. 5: Let cook for around 4 mins. 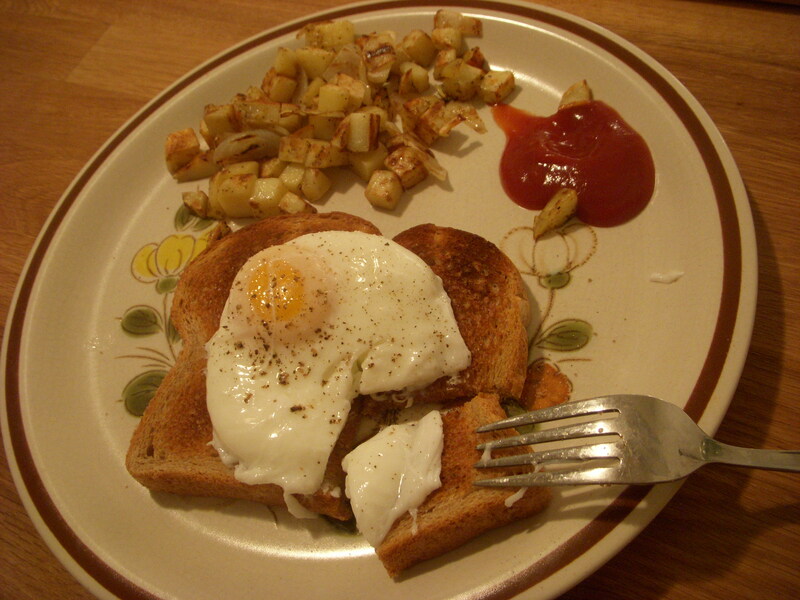 6: Use slotted spoon/spatula to fish egg out, drain, and eat. I am now going to put up some pictures of what we created, and then tomorrow some pictures of our inspiration. 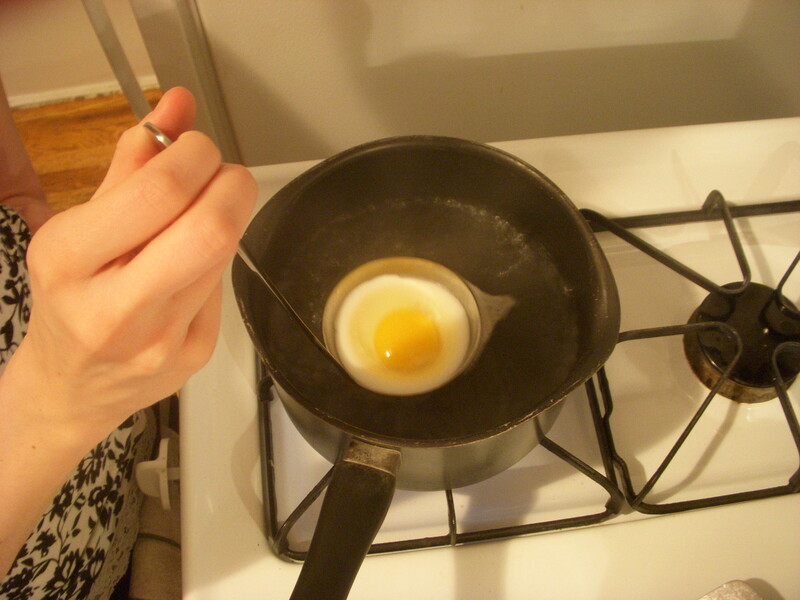 Alternate method: Using a Ladle to cook the egg without submerging it in water. Kind of Worked. Stuck to Ladle. The One (1) thing that I have discovered in NYC that Albuquerque, and the rest of the world as far as I know, is missing out on: Sunday Brunch. Every Sunday, without fail, you can find me at Cafe Mogador indulging in a beautiful spread of breakfast foods, salads, juices, and espresso. At just about every little cafe, bistro, and diner in the neighborhood they turn in their regular menus every Sunday for their own brunch menu. Usually there is one price, around 12 bucks, and only a few selections, but everything comes included. I go to Mogador and get: Beautiful eggs benedict, rosemary roasted breakfast potatoes, fresh side salad, freshed squeezed orange juice, and endless espresso. So after a number of Sundays spent at one cafe Shannon and I are going to be branching out and locating the best brunch around! 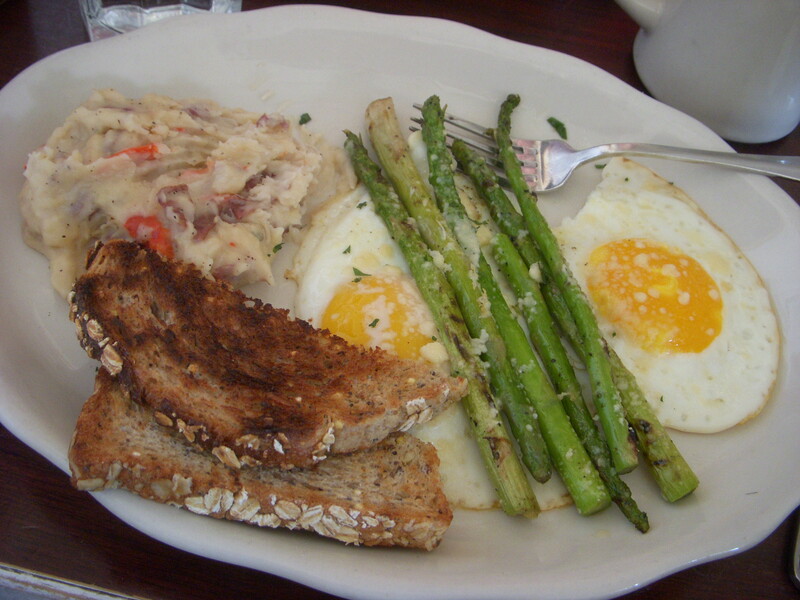 Here is the first new brunch we tried out: Westville East, one of our favorite restaurants. The pictures aren’t super appetizing, but I am going to work on that next time around! 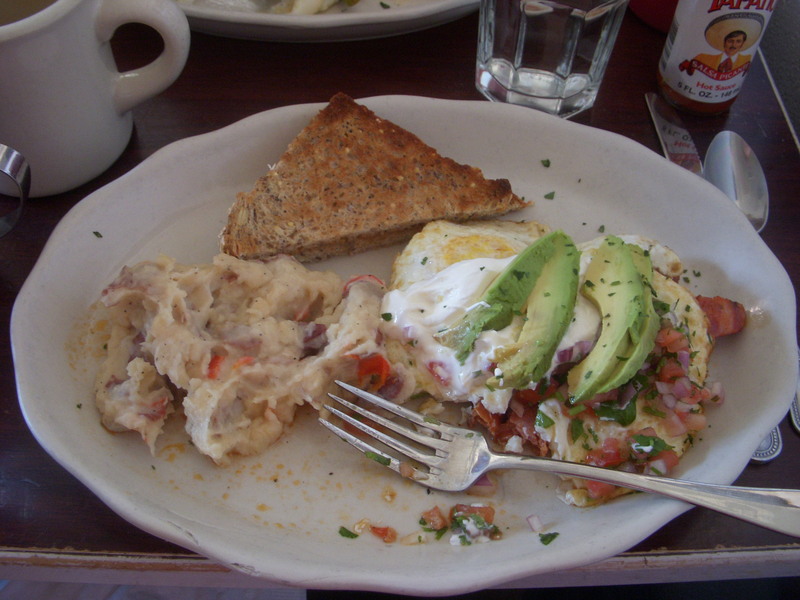 Fried Eggs over Chorizo Sausage topped with a fresh chimichurri, sour cream, and avocado, side of potatoes mashed with onions and peppers, and a seven grain toast.